Double sided labels have your information or design printed on both sides of the label or sticker. An excellent way to maximize space in your business! Create your own custom double sided labels and stickers for your store front windows and doors, vehicle, or product packaging. Get the most out of your labels or stickers with double sided printing. Repeat the same design on both the front and back of your label or stickers, or choose to have different information or designs on either side. 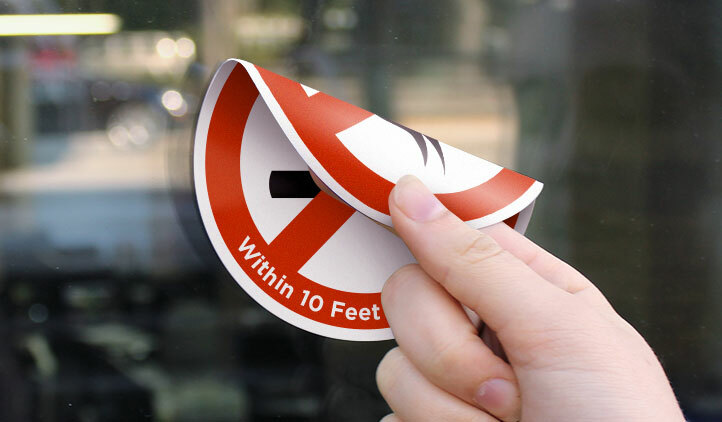 Double sided labels and stickers are an excellent way to maximize the real estate of your storefront windows and doors, vehicle windows, or glass product containers. The double-sided printing technology means printed information or designs can be included on both the front and backside of the label, sticker or decal. 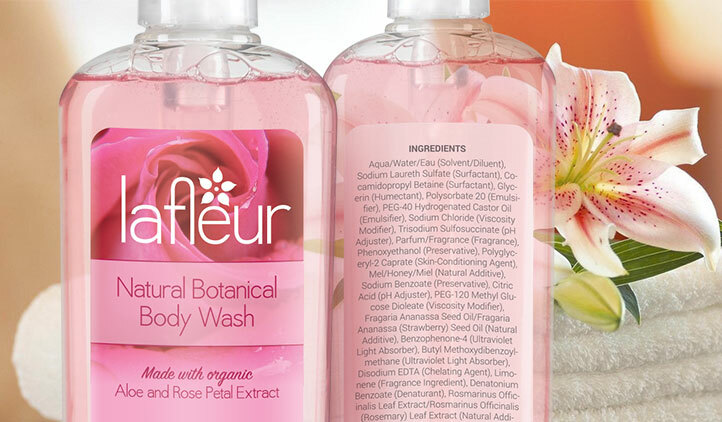 These labels are commonly used in product packaging as logo and product name can be printed on the front of the label and other important information such as ingredients, warnings, and applications can be included on the back of the label. This works best on clear packaging suchs as glass jars or bottles. 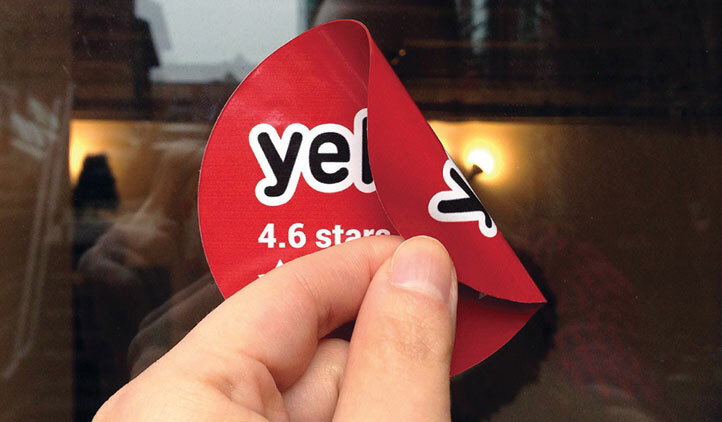 Other common uses include using these decals in the door of your retail store or business. 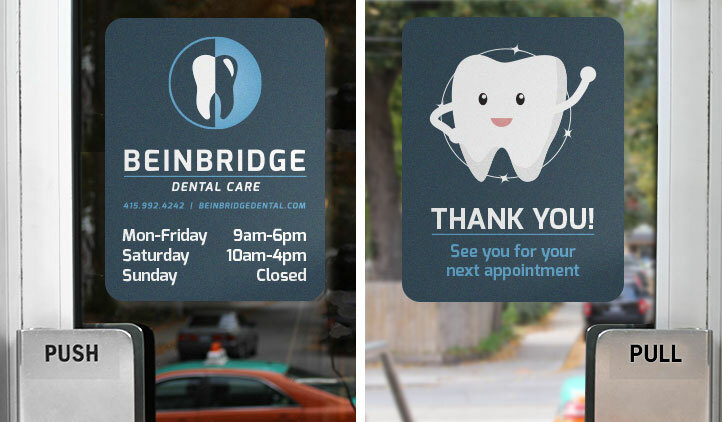 Add operating hours to the front side of the decal and a "thank you" message on the backside of the decal for patrons or customers exiting your premises.